When people think of security fencing they tend to think of steel palisade fencing – a trusted classic in the world of security fencing. 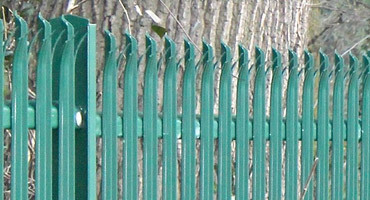 At Four Season Fencing we have a fantastic range of steel palisade fencing. 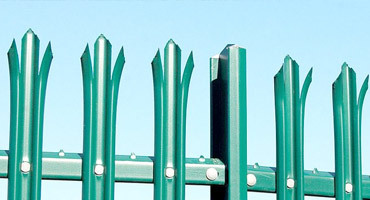 Where can our Palisade Fences be used? Palisade fencing is mainly used for security purposes and for preventing trespassers or any unwanted visitors from entering your property. Our quality steel fences are not only formidable and resilient in structure, but the design and spiked top (optional) makes them almost impossible to climb. Our products come in either triple pointed or rounded tops. 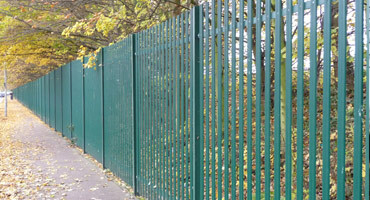 What are the Benefits of using Palisade Fences? 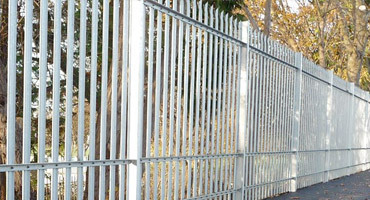 Strength: Our high security palisade fences are made of durable steel and galvanised metals, ensuring for maximum resilience and protection against external objects, weather and people. Weather friendly: The design of our fencing makes it lightweight – allowing wind to pass through. This reduces the chance of damage or being dislodged due to strong winds or stormy conditions. 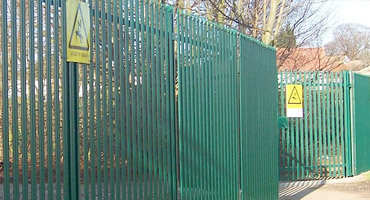 Visibility: The gaps created through the fence panel design enables for good visibility, which is ideal for those who wish to obtain maximum security and survey the borders of their property for any potential trespassers. Low maintenance: Our fences have been manufactured to be easy to maintain, endure regular use and most importantly, last a long time – so you won’t have to replace your new fence every year! If you have any enquires about our range of quality steel palisade fence panels, please contact us on 01233 820240, via email, or by submitting an online enquiry. Our expert fencing team, based in Kent, will be happy to assist and advise you on deciding the best security fencing for you. As part of our service, we also offer you a free site survey with no obligations. At Four Seasons Fencing, we have years of experience in manufacturing and installing steel palisade fencing across Kent and the surrounding areas – we can use this knowledge and valuable experience to help you with your fencing needs. We also stock and supply many other fencing styles, Other fencing styles that’s we stock includes Mesh Fencing, Railway Fencing, Environmental Fencing, Hoardings & Site Fencing, Railings & Bowtop, Timber & Stock Fencing, Gates & Access Control, Crash Barriers, Bollards and more.